Michelin has reached the fourth quarter in the first place of our ranking again. The following spot was a close run between Goodride and Bridgestone. Goodride was seen in the ranking five times, as opposed to Bridgestone’s six appearances. Goodride took the second place because it was in first place three times, and in third place twice. Bridgestone came in third because it was once in first place, twice in second place and three times in third place. In fourth place came Goodyear with one appearance in first place, one in second place and two in third place. Michelin was the top choice in Belgium, Denmark, Spain, France, Luxembourg, and Great Britain. It also appeared in second and third place three times each. Bridgestone has continued in third place, and Continental is out of the fourth quarter top three. Belgium, Denmark, Luxembourg, Poland and Spain had no change at all in their third to fourth quarter rankings. Tyrecomp puts together a barometer which ranks the three most popular tyre brands across 15 countries in Europe. The ranking involves the following countries: Austria, Belgium, Denmark, Spain, France, Ireland, Italy, Luxembourg, the Netherlands, Switzerland, Portugal, Great Britain, Sweden and Poland, but doesn’t take into account the size of each market. 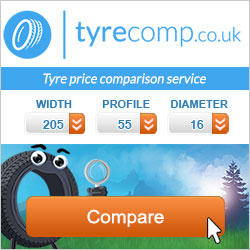 The data is gathered from Tyrecomp’s partner websites in the countries mentioned, for car tyres. However, tyres for other vehicles can be found on these websites, like motorcycles, 4×4 and vans. Let’s see what the rankings will be like in 2016. If you have any guesses for 2016 or any other thoughts about Tyrecomp’s barometer, please leave us a comment.